Do you want a convenient way to blog on your iPhone or iPad? Here you can view some great apps for bloggers that make blogging very easy on iPhone/iPad. Hope the list of useful blogging apps will help you to blog using your iPhone. Simply check out list of the best blogging apps for iPad or iPhone. 1. BlogPress ( iPhone & iPad) – Fully functional blogging app for iOS users that comes with lots of options. If you love blogging and want to manage your blogs easily on your iPhone or iPad, BlogPress could be the best blogging app for your iOS device. BlogPress supports almost all popular blogging platforms such as Blogger (Blogspot) ,WordPress, Drupal , MovableType, TypePad and many other. 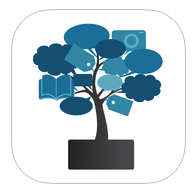 BlogPress has an easy and clean user interface that helps bloggers manage their blogs on iDevices easily. The app also supports photo blogging, video blogging , image sharing including many popular image sharing sites like Picasa , Facebook, Twitter etc. One of the best blogging apps on the Appstore . Great iOS app for bloggers. 2. WordPress (iPhone & iPad) – If you have blog on WordPress blogging platform and you are looking for a free blogging app, you must try this blogging app to make your blogging tasks easy on your iOS device. This app helps users blog in a very clean interface. 3. Blogo ( iPhone & iPad ) – Featured rich blogging app for iPhone and iPad users. If you are a professional blogger or you blog to share your thoughts, this app would be perfect option for your device. The app helps you manage your WordPress, blogger and medium blogs. Very useful blogging app that comes with clean and easy to use interface and supports offline writing. If you want to access more features, you can unlock in-app purchase. 4. 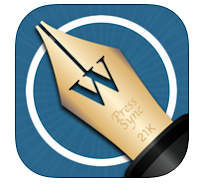 PressSync Pro For WordPress ( iPhone & iPad ) – One of the best blogging apps that let you manage your WordPress blog easily on your iPhone and iPad. The app supports almost all features and services of WordPress excluding comment. The current version of PressSync doesn’t support comment features. 5. BlogPad Pro ( iPad )- I would highly recommend you to check this app, if you want to make blogging easy on your iPad because this great blogging app comes with tons of useful blogging features including a clean user interface. This app includes many features such as multiple blogs support, multiple platform support including blogger blogs , offline saving option, conflict management, dropbox integration, and many other advanced setting features. 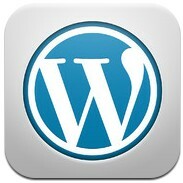 Recommended premium blogging app for iPad users. 6. Tumblr ( iPhone & iPad )- If you have a blog on Tumblr platform, this app would be very useful to manage your Tumblr blog easily & quickly on your iPhone or iPad. Simple & clean user interface that can help you blog easily on your iOS device. 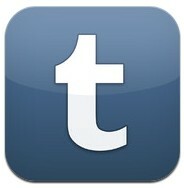 You can download this Tumblr blogging app free of cost on your iPhone or iPad. 7. 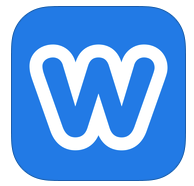 Weebly ( iPhone & iPad )- Weebly is one of the most popular blogging platforms on the web which help users create fully functional website with very easy interface. If you have a site on weebly platform or want to create your own website using this service, this blogging app would be the best app for your iPhone and iPad. 8. 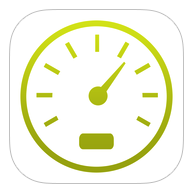 SEO Tool (iPhone & iPad)- If you want to analyse your site’s search engine ranking on major search engines, this great app can help you to check your site’s position on major search engines. This app comes with some useful and essential seo tools.